Are you planning on selling a used car? There are plenty of places where you can get cash for you junk car, like auto salvage yards. Salvage yards take cars like yours and sell their parts to the public, and depending on the state of your vehicle, you can get enormous amounts of money for your old car! Even if your car isn’t driveable, there are plenty of parts in it that can hold high value, and can fetch you a high resale price. If you’re wondering, “Where can I get cash for my car in Florida?” start with a salvage yard, because they’ll identify and give you cash for the following valuable items in your vehicle. Even an old pile of junk will have at least a basic sound system. If your car has intact speakers and other media console parts, like a GPS system or radio, it’s worth money. If you want top cash 4 junk cars, make sure to let any salvage yard you visit know about the features of your sound system. These parts are in demand and will improve your resale price. Replacing an exhaust system of a vehicle, including the catalytic converter, can cost into the thousands! This is one of the top reasons why people consider buying a car with cash at a salvage yard, or visiting old salvage cars to find intact parts. If your car has a usable exhaust system, then your parts are worth more money than you may realize. A common replacement for cars of any price, people love shopping for fenders at salvage yards. If your car has intact fenders protecting the wheel wells and undercarriage, you can earn a high price for your vehicle. Brand new fenders can be very expensive, but parts from a car like yours at a salvage yard will be much more reasonably priced. What’s more, used tires and rims on your car can also bump up the resale price of your vehicle. You’ll get more cash from the salvage yard if your car has decent rims and tires because the salvage yards know how often people stop by their junk yard to get intact wheel-related parts for less. Another way to get more cash for cars is to sell your vehicle with intact air bags. 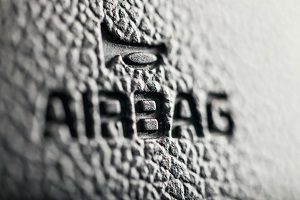 When people are quoted in the thousands to replace air bags, including parts and labor, people will stop by a salvage yard to recover intact, unused air bags in used cars. Your car’s air bags can fetch you a very high cash price, even if the rest of your vehicle is in poor condition. So whether you’re interested in selling or buying a car with cash, it helps to know that the above parts can be found in used junk cars. Sellers can increase their cash reward by indicating to a salvage yard that their car has intact, usable parts. 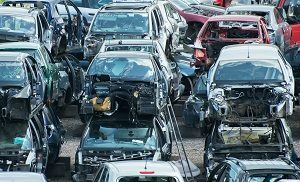 Buyers and parts hunters, meanwhile, can find great-quality vehicles and components in salvage yards for much less than shopping at a dealership. If you want to get cash for your junk car, visit U Pull & Save for the best price for your junk car, no matter its condition.